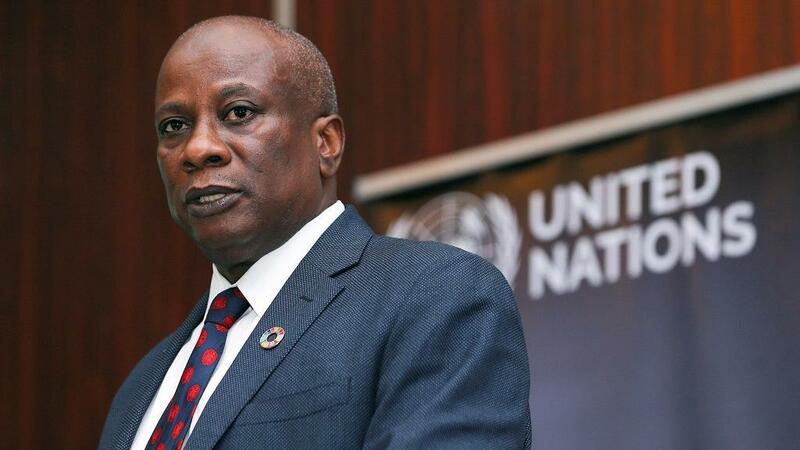 The United Nations and the Federal Government of Nigeria said that 840 million dollars is required to address the humanitarian needs of insurgency affected people in the North-East between 2019 and 2021. 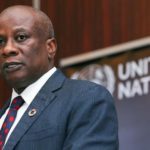 Edward Kallon, UN Resident and Humanitarian Coordinator in Nigeria made this known on Tuesday in Abuja at the launch of the three-year Humanitarian Response Strategy (HRS) 2019-2021. Newsmen report the HRS was launched alongside the Nigeria Regional Refugee Response Plan (RRRP) by the United Nations High Commissioner for Refugees (UNHCR). The two-year RRRP is also seeking 135 million dollars to save lives, provide basic assistance, restore dignity of affected families, protection and building resilience of host communities. Kallon said that 7.1 million people were in need in Nigeria’s North-East but that the HRS was targeting 6.2 million people for assistance in the three worst-affected states of Borno, Adamawa and Yobe. He said that the HRS would be reviewed yearly based on the priority needs and the situation. “The 2019-2021 Humanitarian Response strategy with a one-year response plan, is targeting 6.2 million of the most vulnerable people in Borno, Adamawa and Yobe states for humanitarian assistance. “The financial appeal this year has reduced from 1.5 billion dollars in 2018 to 845 million dollars, based on assessed needs and the realistic capacity to implement. “The 2019-2021 Humanitarian Response Strategy provides a way forward to tackle the challenges inherent in planning and responding to large-scale needs in a complex setting. “Despite a significant scale-up of the humanitarian response by the UN and humanitarian partners since 2016 in support of the Government of Nigeria, the humanitarian crisis in the affected states continues,’’ he said. Kallon said that the HRS was hinged on three objectives which include saving lives by providing assistance and protection interventions to the most vulnerable. The second objective was to enhance timely, unhindered and equitable access to multi-sector assistance and protection through principled humanitarian action. According to him, the third objective is to strengthen the resilience of affected populations, promote early recovery, voluntary and safe durable solutions to displacement and support social cohesion. Kallon said that the primary role of humanitarian aid was to help people survive and maintain their dignity, adding that the humanitarian response integrates approaches to reduce community dependency on aid. He explained that for the next three years, humanitarian and development actors would work toward enhancing coherence and synergies between development and humanitarian responses. Also speaking, Volker Turk, UNHCR’s Assistant High Commissioner for Protection, said that the RRRP 2019-2021 contains a comprehensive approach to addressing the protection and humanitarian needs of over seven million affected persons in the Lake Chad Basin. Turk said that from the Second Regional Protection Dialogue, the four countries of the Lake Chad Basin had agreed to strong commitments to jointly address the protection and humanitarian challenges in the region. He said that the priority would be hinged on protection, providing life saving needs, water, shelter and emergency education. Newsmen report that the HRS was launched in collaboration with the Federal Government while the governments of Nigeria, Niger, Chad and Cameroon partnered in the launch of the RRRP.